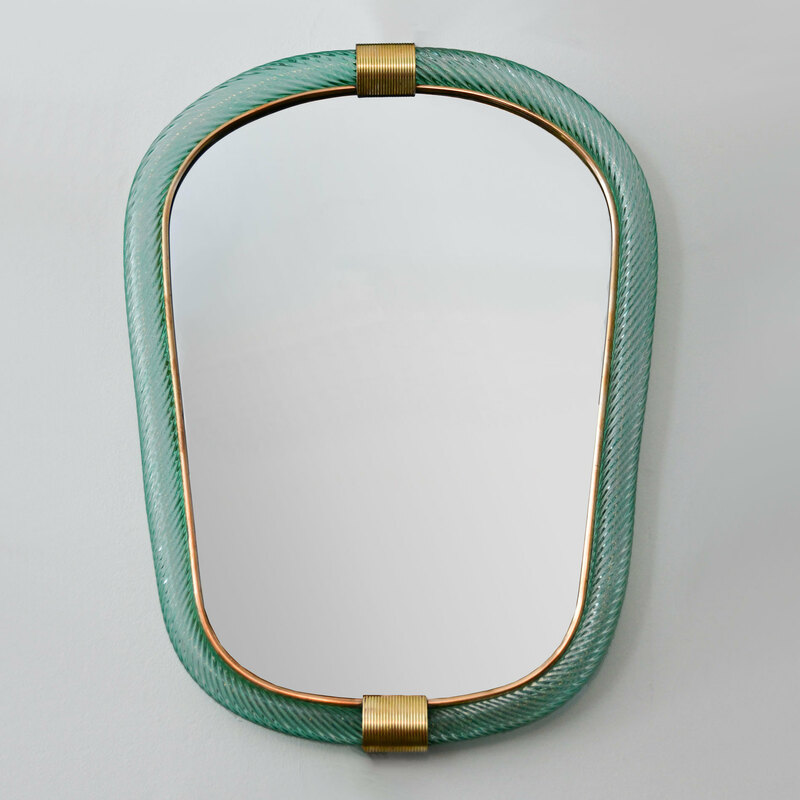 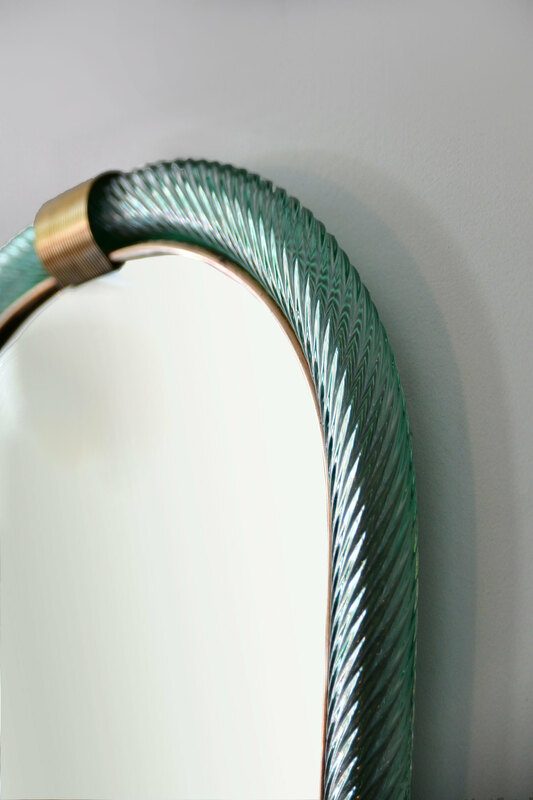 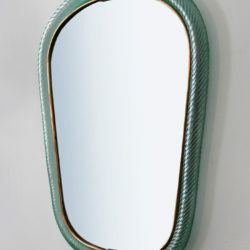 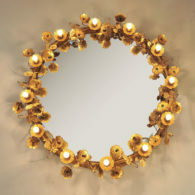 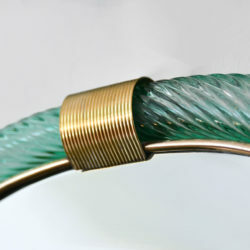 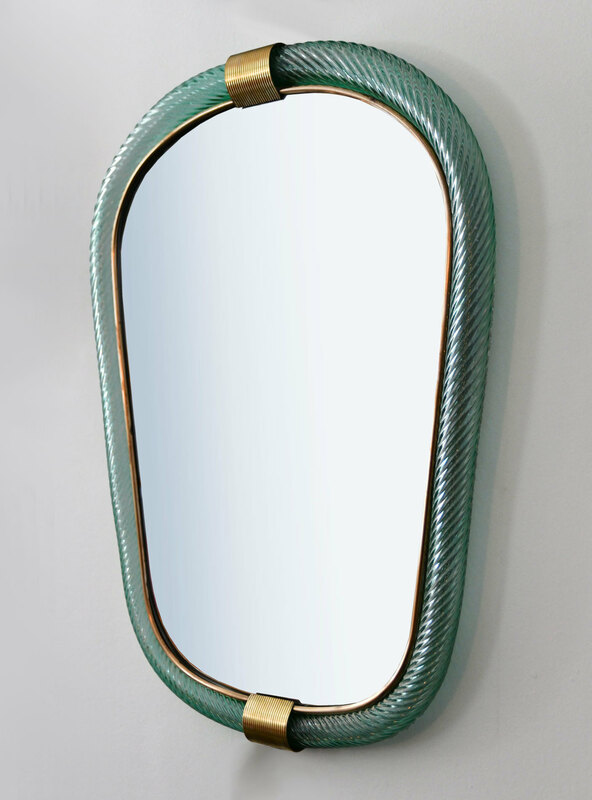 Wall mirror with hand-blown glass frame of ‘rope’ design in soft green, lined by slender brass filet. 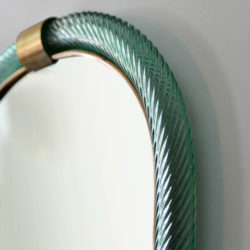 The top and bottom with decorative 'clasp' detail. 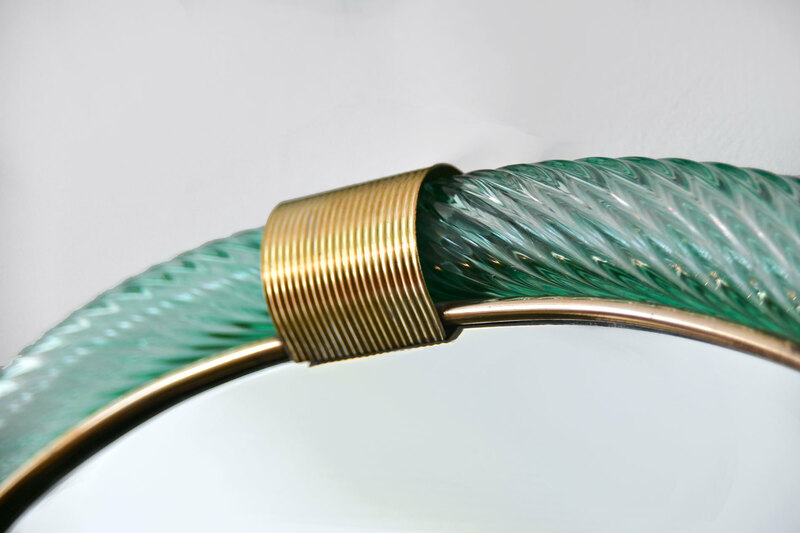 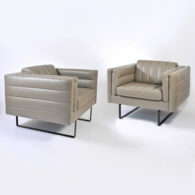 Barovier e Toso was formed in 1936 with the merging of two glass houses: Vetreria Artistic Barovier and Ferro Toso. 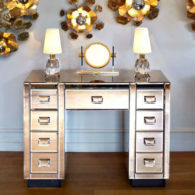 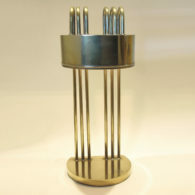 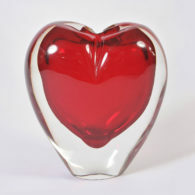 The company is recognised for some of the finest Murano glass works of the 20th century.